Remember the days when your old coil mattress was so worn out that you had to flip it over to still be able to sleep on it comfortably? Or those models that required flipping over each season, so you could fully enjoy your bed throughout its entire lifespan? As the mattress industry evolved, the number of materials used to make a mattress drastically increased, so the need to flip your mattress over isn’t as common nowadays. This is both a good and a bad thing, which leaves us with the following question: are flippable mattresses better or worse than non-flip ones? 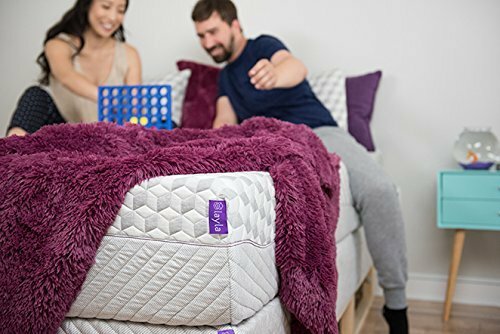 When you buy a flippable mattress, the whole flipping process needs to become a habit every month (or more, depending on the manufacturer’s specifications) to make sure you can fully benefit from the money you spend. These mattresses are typically hybrid or innerspring models and are often more durable compared to other non-flip models. Flipping your mattress bring a couple of benefits to the table. First off, you’re giving the product a chance to evenly distribute your body’s weight across the entire surface of the bed. In turn, the materials inside the mattress have a chance to settle, meaning that the center of the bed is less likely to sink in after a short while. It also prolongs indentations in the mattress, which expands its life cycle. A flippable mattress generally implies a mirroring construction. The center of the mattress is its core, while the other layers are generally cushioning this basic support system. 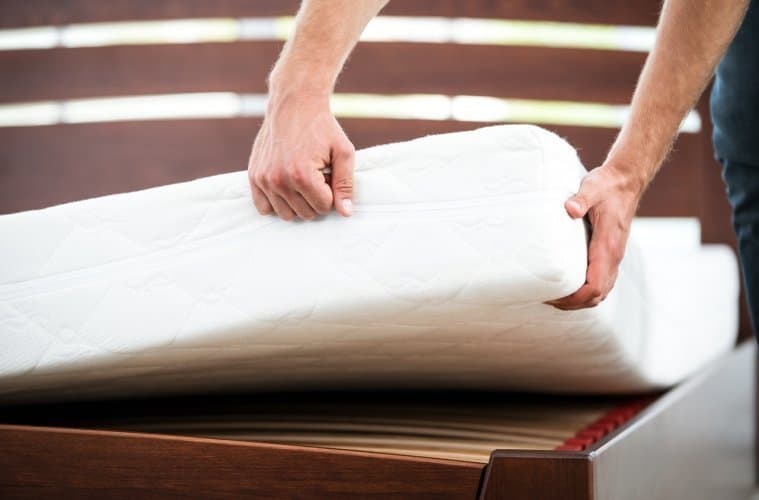 A lot of flippable mattresses have an innerspring center, with several foam or latex comfort layer to transition between your body and the core of the mattress. 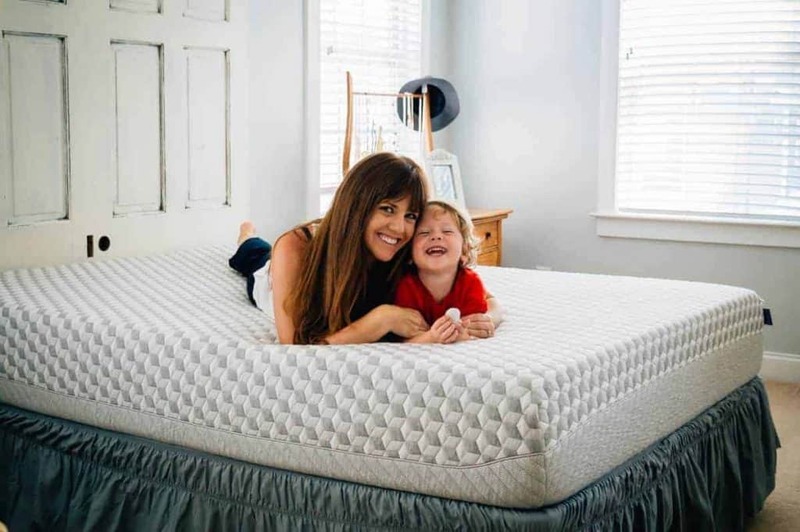 A lot of the flippable mattress models that are currently available on the market are firm and that’s due to the fact that the innerspring core needs to be durable and support the entire weight of your body for as many years to come as possible. Flippable mattress often has a pillow top, to provide cushioning on both sides of the mattress. This helps alleviate some of those pressure points. They are best used with a boxspring, in order to support the flipped side to rest without pressure. One of the major downsides of having a flippable mattress is that it’s often a tedious and hard job, especially if you don’t have any help. These mattresses require a lot of manipulating space, so having a small bedroom increases the chances of knocking something over as you perform this operation. Some rooms may have a ceiling fan or a lower ceiling overall, which could mean that you need to take the mattress into another room, flip it over and then put it back on the bed. If we had to describe the Layla Sleep Mattress in a single sentence, we’d stay that it’s one of the best copper-infused flippable and dual firmness beds we’ve ever come across. Stick with us as we break down the mattress to its very core, to discover why it’s one of the most popular memory foam mattresses out there. Dual-sided mattress with both soft and firm options. 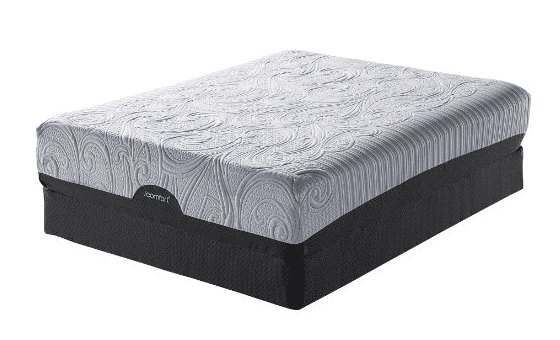 Comfortable memory foam and a durable support core. Very good pressure point relief system, especially for side sleepers. Minimizes motion transfer despite the all-foam construction. Materials used are all Certi-Pur certified. Comfort layer isn’t that durable, as their density is a bit low. There isn’t a very huge difference between the soft and the firm side: they both feel like a medium. Twin size – measures 39 x 75 x 10 inches – has a total weight of 50 lbs. Twin XL size – measures 39 x 80 x 10 inches – has a total weight of 55 lbs. Full size – measures 54 x 75 x 10 inches – has a total weight of 70 lbs. Queen size – measures 60 x 80 x 10 inches – has a total weight of 80 lbs. King size – measures 76 x 80 x 10 inches – has a total weight of 90 lbs. Cal King size – measures 72 x 84 x 10 inches – has a total weight of 90 lbs. The construction of a mattress can be a true form of craftsmanship. Only by knowing how to combine the right materials can a brand truly create a comfortable mattress that appeals to a wide audience of sleepers with different preferences. 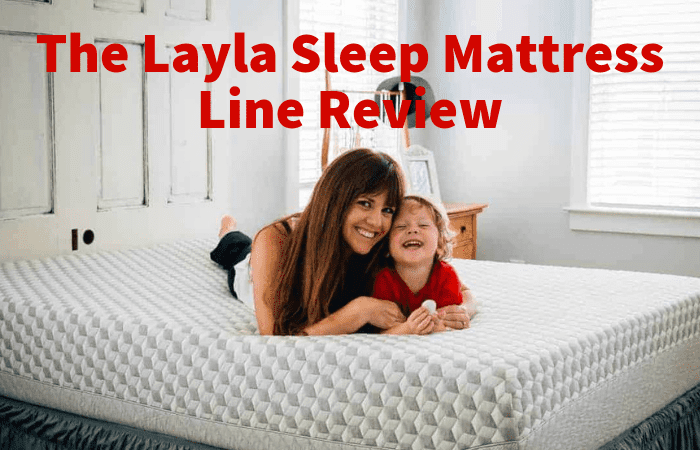 So, what makes the Layla Sleep mattress one of the best of its kind? Please note that the layout we’re about to describe start with the softer side of the mattress facing upwards (more on that, in the “Firmness & Feel” section). 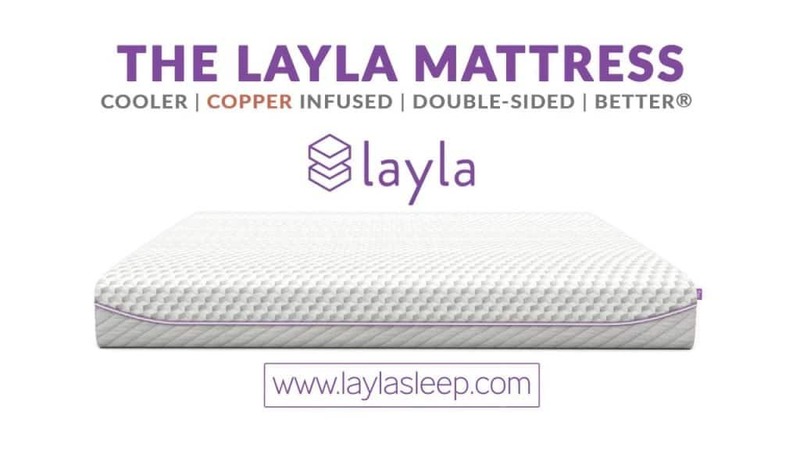 The cover of the Layla mattress features a polyester blend that makes it really soft to the touch. The gel infusion is an added feature that’s meant to regulate body temperature and turn your body’s heat into a cool breeze that prevents you from sweating like crazy. The cubic pattern on the cover is really pleasant to look at, almost making me feel sorry for having to cover the mattress with a fitted sheet. Oh, you’ll be happy to know that Layla’s cover can be removed and washed in the machine. Underneath the cover, we come across the comfort layer of the softer side of the Layla mattress. This layer has a density of 3.8 lbs and is made with copper infused memory foam. This combination of density and structure lead to a comfort layer that allows your body to sink into the mattress just the right amount as to feel you’re properly being supported as you lie down. This particular layer is also responsible for body contouring, as well as assimilating the copper infusion properties for a cooler mattress. Here comes the two-inch transition layer that’s made with 1.8 density poly foam. Here is where the mattress really begins to show its support. Because of its convoluted design, we find yet another anti-heat measure that’s taken in order to prevent the worst memory foam feature from being revealed: overheating the sleeper’s body. The support layer that comes next is made with really dense polyfoam, to support the sleeper no matter which side of the mattress is facing upwards. This layer also acts as the base of the softer side of the mattress and it responds to pressure rather fast. The last layer is the comfort layer of the firmer side of the mattress. 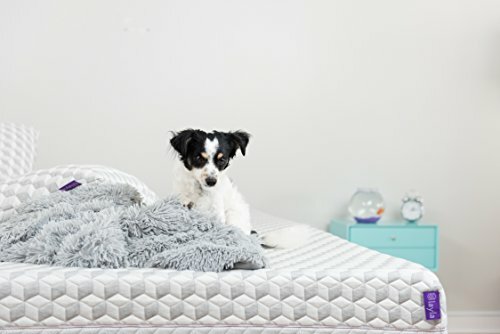 It is identical to the upper three-inch layer of copper-infused memory foam, only this layer is just one inch thick, to give this side of the mattress a firmer feel. When the mattress is flipped over to the firm side, the body won’t sink into the surface of the bed that much. To describe the firmness and feel of the Layla mattress, we have to address both the soft and the firm side of the bed. When applying pressure against the softer side, you can feel the compression of the copper-infused layer or memory foam. By pressing onto the top of the mattress, you can feel the hand sinking in pretty deep, but also how the three-inch layer of memory foam contours the palm of your hand, giving you the sense of added support and pressure relief. Flipping the mattress over to the firm side and applying some hand pressure, it is clear that the upper layer of copper-infused memory foam is more resistant to pressure. 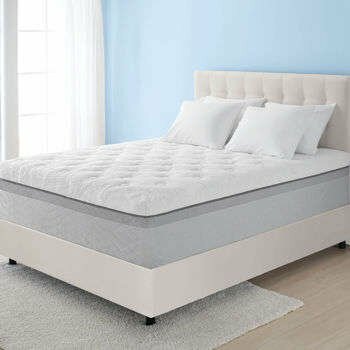 Also, you will feel as your hand reached the next layer, the support foam, providing quite a different feel compared to the softer side of the Layla mattress. As always, it’s important to keep in mind that each person will feel the firmness of the Layla mattress in a different way. Different tests have shown that the softer side of the bed is generally rated between 5 and 6, while the firmer side goes from 5.5 to 7. The variations are caused by the different weights of the testers, as well as the positions that create different pressure points and cause each person who feels the resistance of the layer in different manners. If you are a back sleeper, you should know that we didn’t find a significant difference in how the soft and firm sides of the mattress feel compared to one another. They both have this rather medium feel, only one of them is medium-soft, while the other is medium-firm. Talking about the pressure map created by different sleeping positions is crucial in determining if this mattress can alleviate pressure points created by your favorite position. 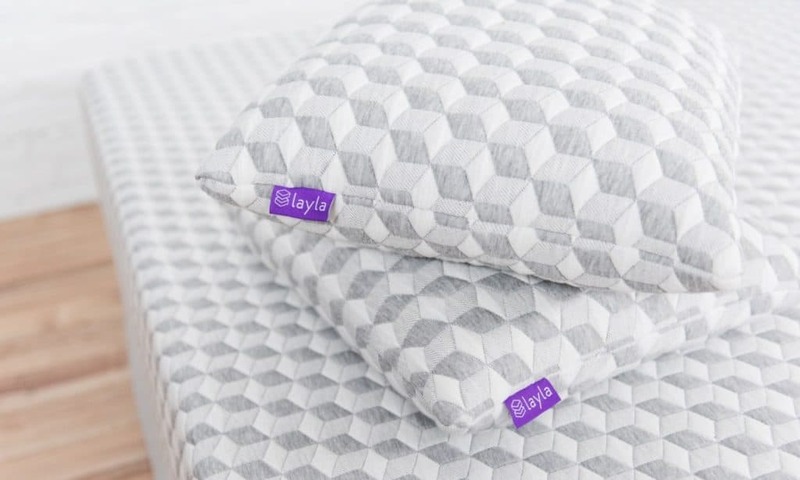 Let’s analyze what happens when you sleep on the softer side of the Layla mattress. Back sleepers are really supported, even on a side of the mattress that promises a plusher feeling. Sleeping on your back ensures even weight distribution across the surface of the mattress, which means that pressure points are kept to a minimum and the lower back area is supported. Rolling over to the side, we noticed a little bit of pressure in the hips area, but it’s nothing that could cause discomfort on the long run. Because of the thick upper layers of memory foam, the mattress provides a great deal of pressure relief for side sleepers. Stomach sleepers generally need a lot more support and a firmer mattress. With the softer side of the Layla, you will see that your hips sink in a little bit, which could lead to lower back pain in the long run. But how does the firmer side perform in terms of body support for the three main sleeping positions? Spoiler alert: there really aren’t any major differences, as you will now come to understand. By lying on your back on the firm side of the Layla, you will notice that your spine is properly aligned, but there isn’t that much memory foam feeling because the upper comfort layer is a lot thinner compared to the one on the other side. The sinkage is barely felt because of the construction. When you sleep on your side, you will feel how the comfort layer interacts with the support layer underneath. Because this side of the mattress is firmer, it doesn’t provide great support for side sleepers, so there really isn’t any point in choosing this side if you prefer this position. Stomach sleepers will find more comfort on the firmer side of the Layla mattress, because it pushes against the pressure applied by your hips, forcing them back upwards. A lot of experts will tell you that if you share a bed with a partner, you need all the edge support you can get. To us, this stands true even when you sleep alone, as you should be able to rely on the support and minimal compression no matter on what side of the mattress you find yourself sleeping on. When you sleep on the softer side of the Layla mattress, you will feel the mattress compressing a little bit under pressure as you move closer to the edge. But this is something we always expect to see in an all-foam mattress, especially one that’s softer than the medium firmness. Testing the edge support of the firmer side of the mattress, there was visibly less compression when lying close to the edge of the bed. Even as you roll over, the support layer which comes right underneath the thin comfort layer does a good job from making you feel like you’re lying on top of the mattress. However, it’s safe to say that both sides of the mattress do provide some compression as far as edge support is concerned. On both the softer and the firmer side of the mattress, there is a comfort layer that seems to do a decent job in absorbing motion. What’s really surprising is that the plush side actually performs better at minimizing motion transfer than its harder counterpart. We expected the three-inch comfort layer on the soft side to sink in more, making it more difficult for the sleeper to switch positions. The best way to try and measure the durability of a mattress is to take a closer look at the density of each layer. To avoid endless explanation on density here’s what you should know for now: when dealing with memory foam, you want the block to have about 4 to 5 pounds for each cubic foot. If there are any polyfoam layers, it’s best for them to have over 1.8 PCF (pounds per cubic foot). Both of the memory foam layers have a density of 3.5 PCF, while the polyfoam layer goes down to the 1.8 thresholds, and the support core layer is a solid 2. What can we learn from this? The support layers have just the right density to indicate durability, but the memory foam layers could do a lot better. 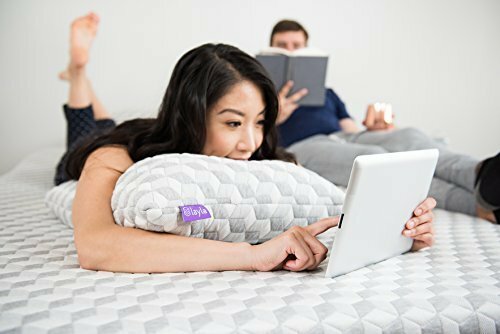 Side sleepers resting on the softer side of theLayla mattress have reported that their shoulders no longer hurt when waking up in the morning. This should never be an issue in your 30s, yet with the wrong mattress, it can become one. 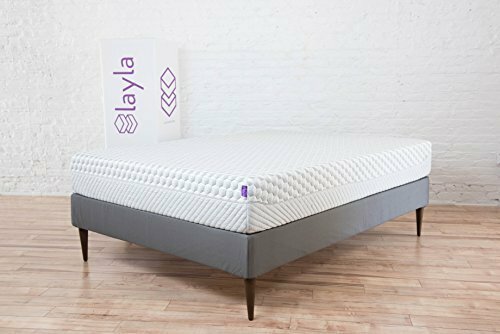 The construction of the Layla mattress is not really centered on heat dissipation, although there is a layer of convoluted foam to give air some freedom of movement. Even so, customers are really happy with how cool the mattress feels. Even customers that had only words of praise for the Layla mattress confessed that edge support isn’t what it should be. Let’s, however, keep in mind that this is quite a common problem amongst mattresses that are made entirely from foam. The entire beauty of the Layla mattress is in the fact that you don’t have to choose a firm or a soft mattress, because you can have both. Of course, this advertising promise is up for debate, as we’ve come across a lot of customers who can’t really tell the difference between the two sides. That doesn’t really make it a bad thing since you can consider that the lifespan of your mattress is doubled even if you feel that the two firmness levels are almost identical. When one side feels all worn out, flip it over and enjoy an almost new mattress. However, the Layla is not just about flipping mattresses over. It’s a mattress that’s worth the attention of every memory foam lover out there. Even if there aren’t any fancy cooling technologies integrated with the construction of the bed, customers are really happy with how cool they’re able to sleep. Also, the fact that it manages to eliminate pressure points for side sleepers is a really big plus, as these people (myself included) often have a hard time finding a comfortable position that doesn’t leave you with sore joints in the morning.